I love it! There are not words to say how great it is! I know that Jonathan is going to love it! 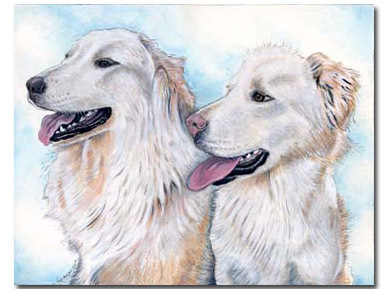 The portrait of Ellie and Kaylie, side by side and panting with the joy of a quick chase was commissioned as a birthday gift.